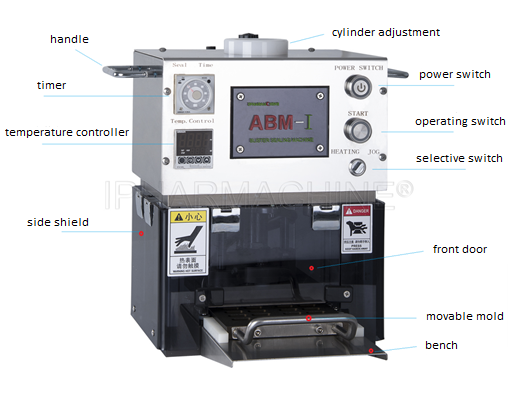 ABM-I blister packing machine is our newly developed pneumatic blister sealing machine. 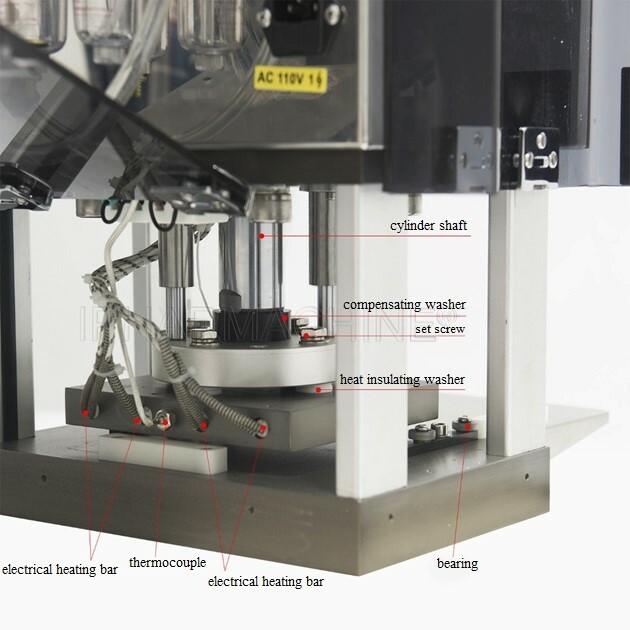 On the basis of the previous manual blister sealing machine, the machine enlarges the mold size, has a precious sealing timer, and adopts cylinder for sealing, which provide sufficient for sealing and makes sealing easier. Hence, it improves the product quality and production efficiency. This machine is designed for small pharm factory, healthcare plant, food plants and preparation rooms,can be used to pack solid drugs like capsule, tablet, gelatin pearl, suppository, milk tablet, candy and hardware. The whole set is of compact design, beautiful appearance, smooth operation and low noise. Use internal heating method to ensure the PVC is evenly heated. There is no bubble in the aluminum foil while heating and hence no waste will occur. 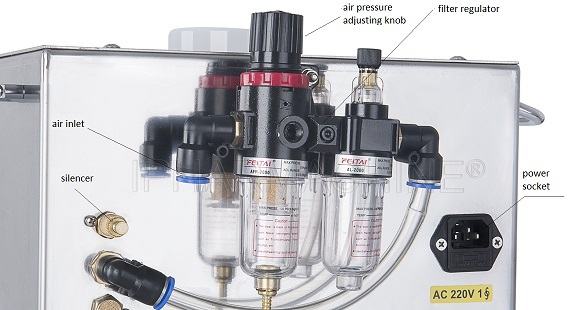 Convenient –- adopts cylinder for sealing. Simple panel -- convenient for users to operate. Long service life –- adopted electrical heating bars are of superior quality. Accurate temperature controlling -- adopts intelligent temperature controller. Sufficient pressure-- the finished product is well sealed and prolongs the storage time of capsules or tablets inside. Small size, easy to move – adopts aluminum alloy material and lightweight handle, easy to move. Optional steel stamp – be able to print production batch number and date. Easy to change the mold - no need to disassemble the parts.